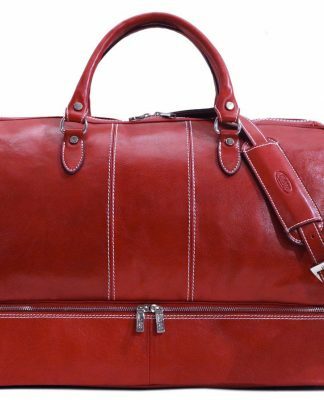 Italian leather and Italian leather bags are regarded as the finest leather in the world. Italian leather is a status symbol and is representative of excellence, elegance, and a rich cultural tradition. It is well-known for its superior quality and workmanship. It’s no surprise then that such an exceptional fashion culture has given rise to renowned brands like Prada, Versace, Gucci and Dolce & Gabbana . A common misconception is that such designers are the extent of Italian fashion. This is simply not true! Leather residences in Italy constantly create extremely high quality leather products. This is in contrast to the occasionally spotty fabrication in other parts of the world. Florence and the surrounding regions of Tuscany are particularly renowned for their tanneries and leather workshops. It is these artisan workshops that make up the bulk of the revered Italian leather industry. These smaller manufacturers make high quality Italian leather bags and more importantly a unique product. 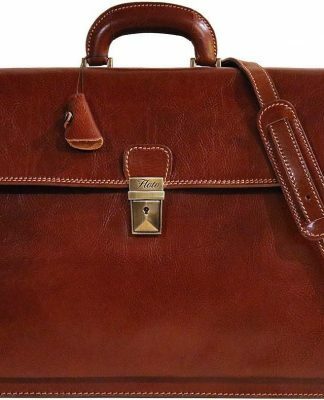 When buying something as fabulous as an Italian leather bag, you certainly want to make sure the bag you’re buying is a high quality product. Quality Italian leather bags will last a long time and provide you the bold fashion statement you deserve. 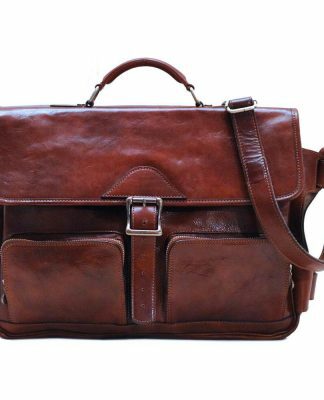 Whether you are buying men’s Italian leather messenger bags, Italian leather briefcases, women’s Italian leather handbags, or evening bags, there are several choices — from the overall design to the quality of leather. Genuine Italian leather bags will not be touted as designer knock-offs, although they may be termed as discount designer bags. Discount designer bags are different because they are made with quality Italian leather. They are, however, sold at a discounted price. 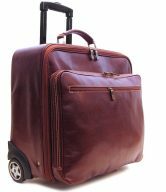 You should always purchase your Italian leather bags from a company that you trust and one that offers a full money-back guarantee in case you are not satisfied with your purchase. 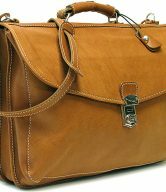 There are many sites that sell Italian bags that are made of quality Italian leather. If you’re convinced that you want to experience the thrill of owning your own Italian leather bag and you want to make a purchase, then you need to take several precautions before you buy! The word “Italy” often evokes intense feelings in consumers because anything Italian is synonymous with style and luxury. However, this is a common labeling that isn’t always representative of the truth. “Italian leather” is a misleading term because of the globalization of the leather industry. Since Italian leather is the pinnacle of excellence, several cheap imitations have flooded the market. This is particularly problematic for consumers when making a significant leather purchase online. Many labels on leather accessories will be designated as “Genuine Italian Leather” or “Made with Italian Leather.” Note that this says nothing about the craftsmanship or the stitching. These products are likely machine-made in China or India. Understandably, consumers are wary of counterfeits. Luckily, we have some key tips to help you avoid these counterfeits. The thrill of owning your own Italian leather bag comes at a premium rate. 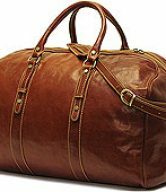 Make sure you shop around for the best deals on Italian leather bags so you can get a high-quality bag at a reasonable price. There are numerous cheap designer bags out there, but when you own an authentic Italian leather bag, you will know it by its superior quality. Opting for cheaper alternatives is not the answer. The price is a very good indicator of the quality of the leather. Price doesn’t necessarily mean brand names. Look for smaller or unknown Italian leather companies – the price will be high, but no where near as high as the high-end designer products. These products are still made with the best materials that can be found, but they are sold at less cost to you. This is especially evident if they are bought online where the Italian leather bag designers can sell them without the overhead of a brick and mortar business. Do not purchase a seemingly good leather bag at a very low price; this is most definitely a knock-off! Whilst an Italian leather bag may cost you money, it will save you some in the end as it will last ten times longer. 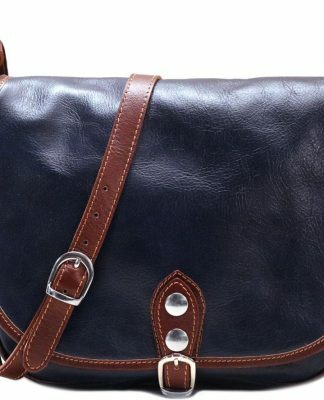 Take a closer look at the leather bag in question. When you examine the stitching, it shouldn’t be uneven, crooked or done in a sloppy manner. Do you see any loose threads? These details usually reflect the quality of the leather and should raise a red flag! Check for natural marks in the hide. Italian leather bags are made from natural materials which can vary slightly in color and texture. Do not mistake these marks for imperfections. Slight variations in color are not considered defects but rather symptoms of the natural product. They are usually a good sign of high quality leather that has not been corrected! 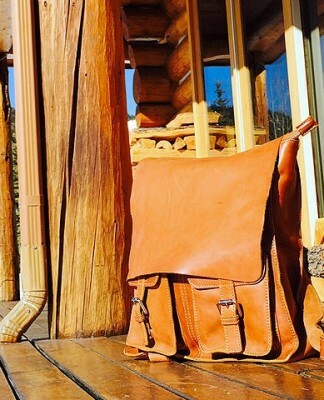 These natural marks give the Italian leather bags character and an antique look. It’s all in the details! If a manufacturer is going to invest in quality leather, they will make sure the fittings are up to standard too. Check the buckles, zips, pockets and any other details. Pick up the leather product to inspect it further. Leather has a very distinct smell. If you can’t smell anything or it doesn’t smell the way leather is supposed to, then it may be faux leather or leather that has been highly corrected. Similarly, the leather should feel relatively smooth and almost silky to the touch. It shouldn’t have a plastic-like texture. If you can, pull it and bend it. Make sure there are no signs that the leather is going to break, tear or stretch! The color should also not be affected when the leather is pulled. 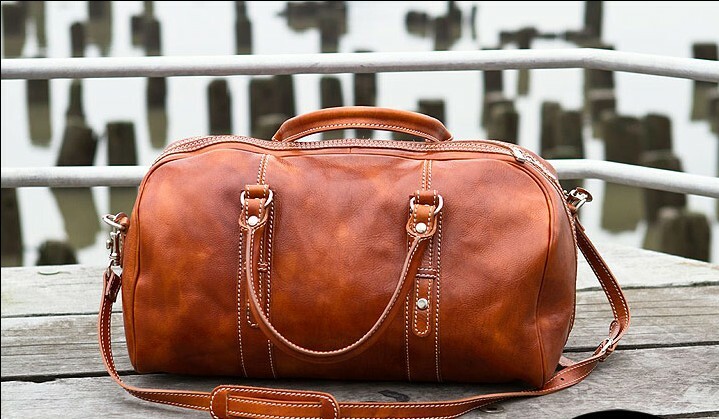 Lastly, a quality Italian leather bag should feel slightly heavy because of its thickness. 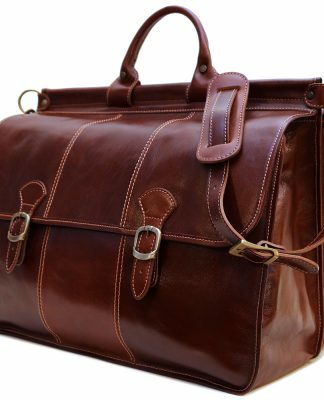 When you have purchased an Italian leather bag, you will be amazed at some of the things it can endure without falling apart! Really good Italian leather bags rarely need cleaning. Good Italian leather can withstand scratches and scrapes. With the best leather, minor scratches and scrapes can be buffed out with good old spit and polish! What are you to do when you are shopping online? The quality check tips mentioned above can’t be applied, nor can you smell or touch the bag until you have made the purchase. As we have mentioned before, we need to forget about relying on a product saying where it is from. There are many leather products on the market that are commissioned in Italy, but are made elsewhere in the world and have the “Made in Italy” label. In this case, you need to look for a guarantee. 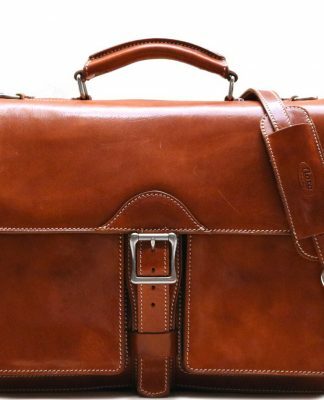 Authentic Italian leather bags need to come with a guarantee. Good Italian leather bags should have at least a 2-year guarantee. If you purchase Italian leather bags with a long or lifetime guarantee, you are sure to be getting value for money. When you are looking at specific styles of Italian leather bags, you should keep in mind the reason that you are buying the bag to begin with. 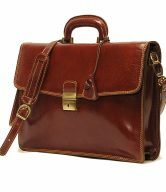 Perhaps you are looking for a men’s leather messenger bag or a leather briefcase bag to carry with you to work. 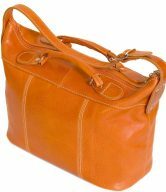 Maybe you are looking for a stunning Italian leather handbag that doubles as a diaper bag. Better yet, you may have a formal event that you are going to that requires a fabulous Italian leather clutch handbag as an accessory. 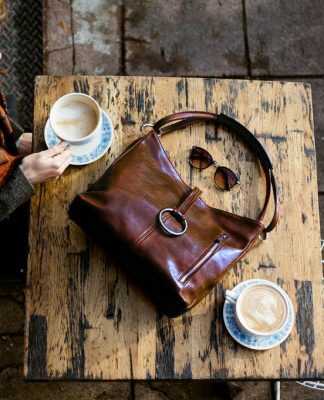 No matter what the reason, Italian leather bags are a great way to show off your trendy style while still being functional. 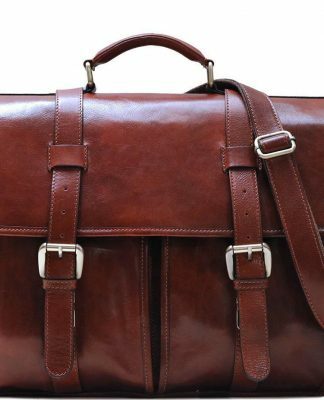 One of the amazing things about Italian leather bags is the fact that they come in all different shapes, sizes and colors for any occasion. 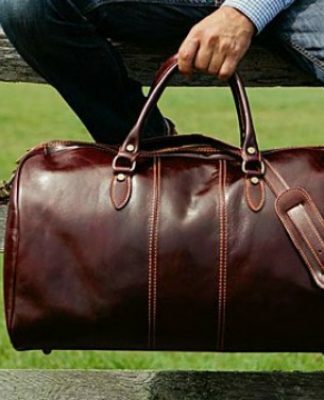 The quality of Italian leather bags cannot be matched anywhere. It is a bag that you can use forever, because they simply do not go out of style.